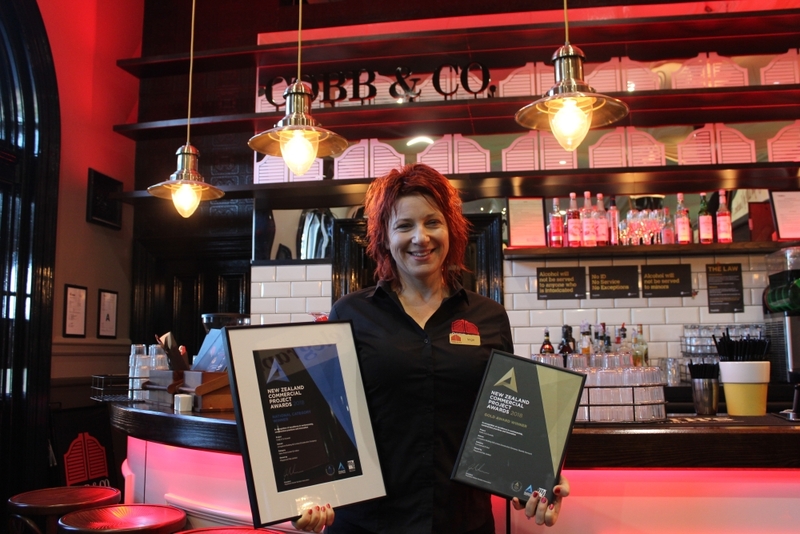 The Cobb & Co restaurant refit in the Dunedin Railway Station recently won two awards at the Registered Master Builders Association Commercial Projects of the Year Awards in Auckland. It won gold in the commercial fit-out under $2 million section and also won an award in the separate Value Awards under $2 million category. Cobb & Co Dunedin is the proud recipient of two prestigious awards. 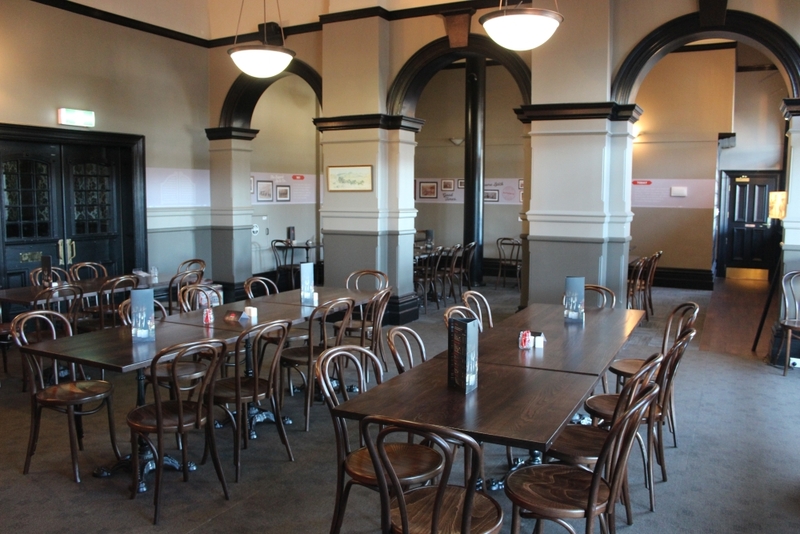 The restaurant, nestled in the historic Dunedin Railway Station, has been open since July last year. Last weekend the restaurant won two prizes in the New Zealand Commercial Project Awards. 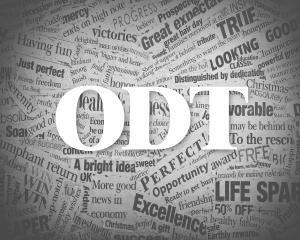 These nationwide awards are about celebrating completed construction projects and the relationships that achieved them. Cobb & Co Dunedin director Ange Copson said they were extremely pleased to have received a gold award in the commercial fit-out category as well as winning the Value Award in the under $2 million category, due to excellence in workmanship, construction practices and innovation. Cobb & Co Dunedin was nominated by Livingstone Building NZ Ltd for both awards. Mrs Copson was at Skycity in Auckland to receive the awards on Friday and was congratulated repeatedly on what an amazing space Cobb & Co Dunedin was. "The awards are a testament to everyone’s hard work in creating our amazing Cobb," she said. "We could not have received these accolades without the hard work and dedication of our local contractors, whose attention to detail and positive attitude was the key to the amazing end result." Cobb & Co had been absent from Dunedin for 12 years but was back in a previously empty space in the railway station, which had been turned into a luxurious place to dine out as well as hold a range of functions, Mrs Copson said. "We wanted to create a space that the Dunedin community could feel like was their own," she said. She said one of the biggest compliments was when people said they knew Cobb was new but it looked like it had always been there. Mrs Copson said their neighbours at the railway station had been very welcoming and helpful. Plenty of original items were also kept from the original railway station space and reused in the new space. Bringing the brand back home to Dunedin had been a rewarding venture, Mrs Copson said. Despite only being there for less than a year, it had become many locals’ favourite place to go. The large restaurant offers a place for everyone to dine, from families with small children through to large groups, such as corporate functions. Restaurant access is easy for prams and those with mobility requirements and Freemans, the private function room, seats up to 70 people. To add to Cobb & Co’s community feel, they also host notfor-profit quiz nights for organisations, be it a school, sports group or club, and can lend an extra fundraising hand. Mrs Copson said they were yet to meet anyone they couldn’t feed with their menu, which catered for a variety of preferences. "It’s an easy place for all people to enjoy." "And a beautiful place to be."